Tis the merry season, time to welcome Santa with the Best Solar Christmas Lights display ever. Make a change, and lead your neighbors in adopting Solar Christmas Lights. They are the most environmentally friendly choice of Christmas Lights and they will power many more Christmas Holiday seasons thanks to our friendly neighborhood star the sun. 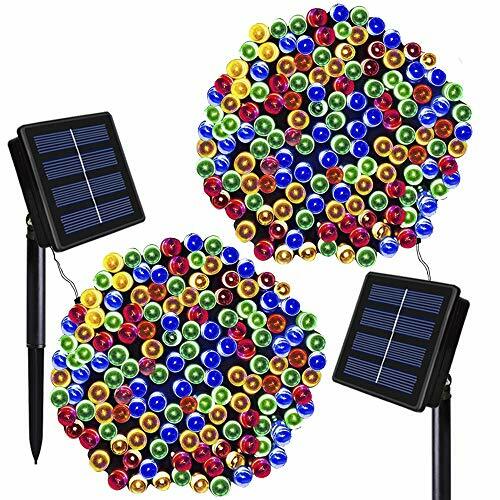 Outdoor Solar Christmas Lights are simply put: Solar Panel powered Christmas Lights. 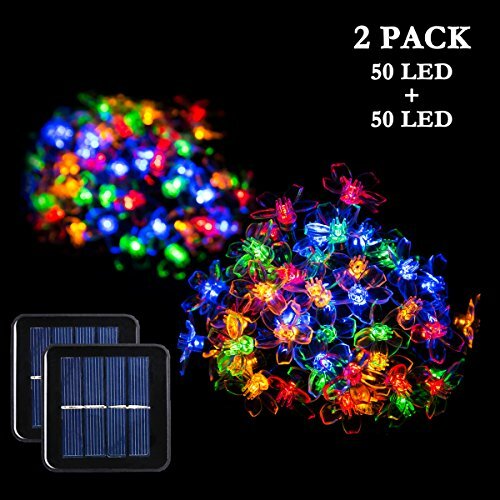 Top quality Solar Christmas Lights are typically an integrated LED light connected to a small battery that is powered by a small solar panel. The Best Solar Christmas Lights are hardy all weather outdoor lights and have the stamina to stay bright and lively through the longer winter night time hours. Economical & Convenient: Not only are Solar Christmas light eco-friendly but they are the more economical choice in the long run. And not to forget the freedom from electric wiring and extension cords. Maintenance Free: Solar Christmas Lights will brighten the outdoors of your home through every Christmas holiday season without any worries of maintenance. 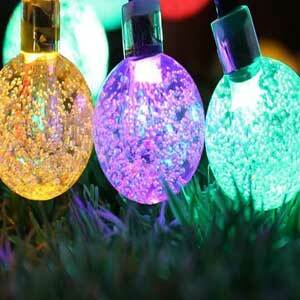 Save on Electricity: Once you have your Best Solar Christmas Holiday Lights set up, you can forget about them. The outdoor Solar Christmas Lights are powered indefinitely by the sun’s power channeled through the Solar Panel attached to the Solar Christmas Lights. Say goodbye to high electric bills during the holidays. Yay. Face the Sun: Of course, you need to make sure the included solar panel in the Christmas Lights faces the sun and gets regular hours of daylight. This will help charge the inbuilt battery. That battery will then provide all the power necessary for the Christmas Solar Holiday Lights to work during the hours of darkness. Eight Hours of Sunlight: There are a few things you need to watch out for while choosing the Best Solar Christmas Holiday Lights. The included solar panels which might be separate or inbuilt with the lights do need 8 hours or more of direct sun to give your Solar Christmas Holiday Lights enough power for the night. Will work in the Shade too: So what happens if you don’t have direct sun? If your Solar Christmas Holiday Lights are in your Phoenix or Miami garden, they will work at maximum strength — but what if your Solar Christmas Holiday Lights are in Anchorage or you have trees and a lot of shade? Solar Panel Placement: You can still enjoy your Best Solar Christmas Lights, even in a fully shaded area, but you will have to position a remote solar panel on your roof or in a sunnier area of your yard, which must then be wired to the Solar Holiday Lights in the shady area. This won’t work if the solar panels and the lights are all in one fixture. Solar Panels: Remember to check the coating on your Solar panels. 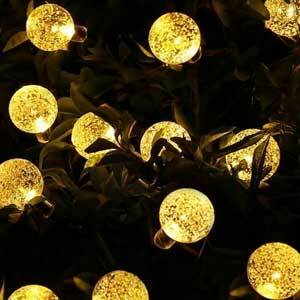 The Best Solar Christmas Lights will not have cheap plastic coated solar panels that deteriorate in a few years. 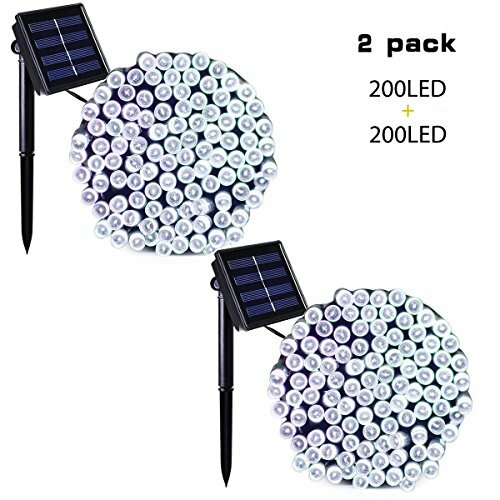 If you are looking for the best Solar Christmas Lights, consider solar panels that are layered with tempered glass. These are resistant and the panels will last much longer. Batteries: Finally check the battery which comes as part of the Solar Christmas Lights package. The larger the battery (check out the mAH rating) the longer the lights will remain on. Given the choice always choose Lithium ion batteries for your Christmas Solar Lights. So without further ado – let’s look at the many options available in the market. 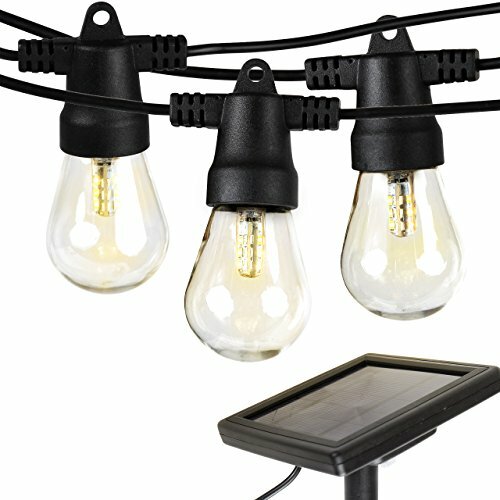 This is a list of the Best Solar Christmas & Holiday Lights of 2018 and is based on reviews and excellent user feedback. 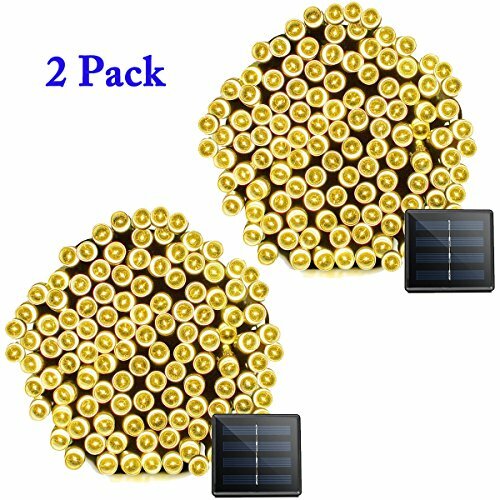 When you choose one of these Solar Holiday lights you not only choose the best, you also get the best price. Best of luck shopping for the Best Solar Christmas Holiday Lights. Multi Color Changing: Red & Green & Blue & Yellow light change. 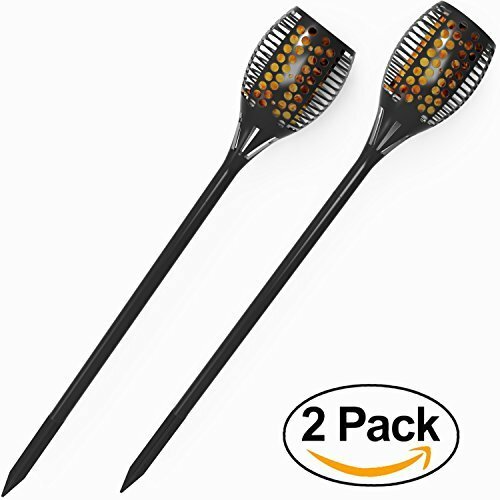 2 in 1 Functions - Stick into the ground./Use included screws to mount on the wall. 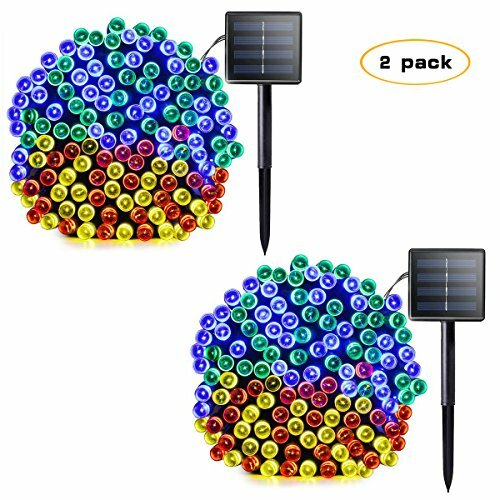 NO WORRY TO BUY SOLARMKS SOLAR STRING LIGHTS - All Solarmks solar lights have free guarantee for 12 months, our promise with a 100%-satisfaction guarantee. SIZE & RUSTPROOF SUBSTANTIAL GLASS / STAINLESS STEEL: Garden solar path light measures 16.54" in height x 4.72" in diameter. 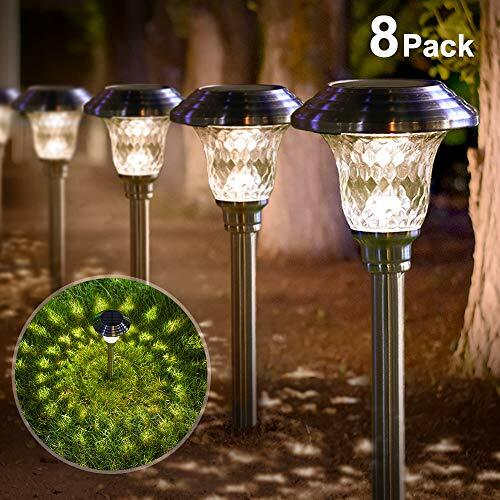 Wireless solar Pathway Light with auto sensor made of stainless steel with watertight diamond glass lightshade that enables you to use this bright solar garden light outdoor durably. 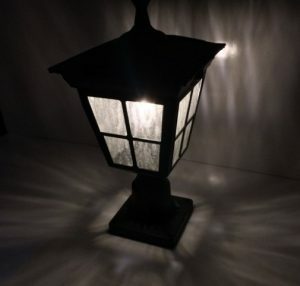 Modern substantial textured touch of Metal and Glass quality of this solar power walkway light for garden patio lawn and backyard is much better than solar path way lighting made of plastic. 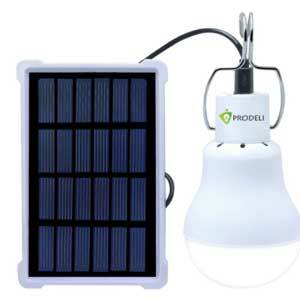 WARRANTY & EASY ASSEMBLY & USE: In-ground solar light is out of the box with ease. 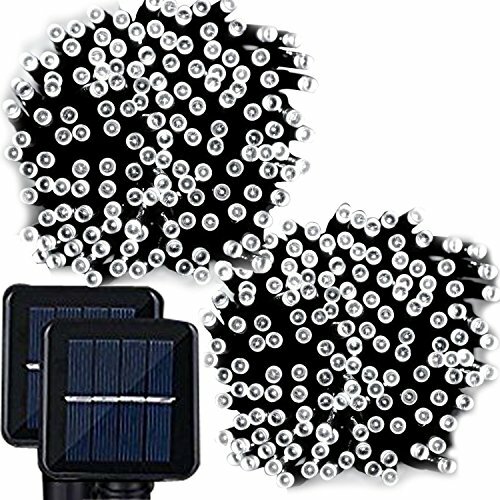 No addition tools required to install this solar ground lighting outdoor. 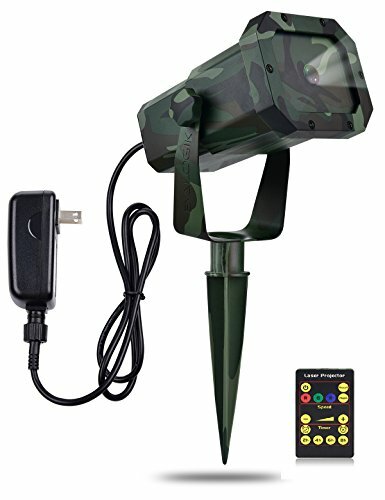 Wireless setting up and operation with this LED solar landscape lighting. 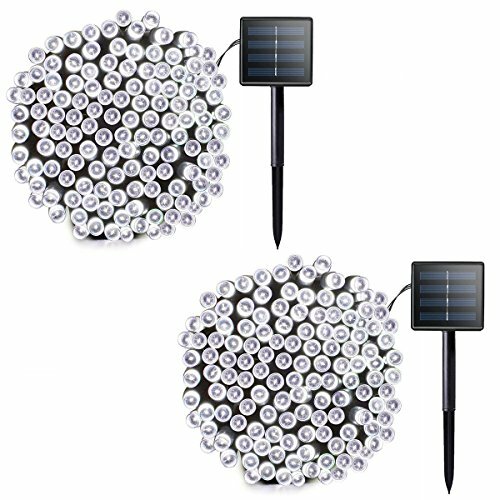 Quickly install this modern solar ground garden light by pushing this glass solar landscape light outdoor into the ground. If you are not satisfied with our solar stake path lights, just return these stainless steel solar path lights within 30 days for a FULL REFUND. AUTO ON/OFF ENERGY SAVING & WARM WHITE DECOR: The automatic solar powered light has a solar panel that absorbs sun light during the day to convert sunlight into electricity to recharge the AA Ni-MH battery (included). Solar power lights automatically turn on at night and turn off at dawn which enables led pathway light conserves battery life for when it's needed most. The pattern of this solar Christmas light is also attractive; solar path light warm white is a perfect addition to your backyard! HIGH EFFICIENCY & ECO-FRIENDLY: Solar 6 Lumens output with one warm white LED of this solar ground pathway light. 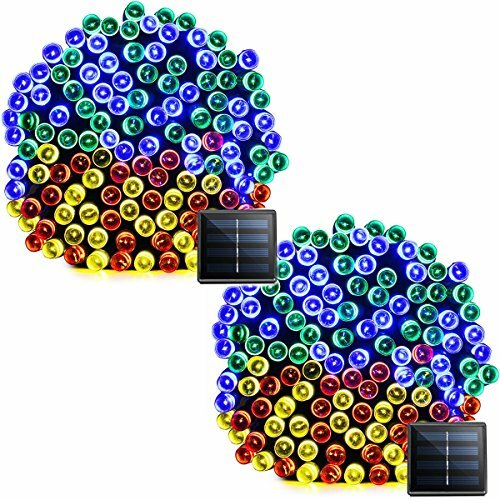 Diamond shaped LED lights of this decorative solar lights outdoor are powered by solar panel (located on the top of the cap), which give off glowing light that lasts up to 8-12 hours (no extra electricity needed); 100% SOLAR-POWERED. 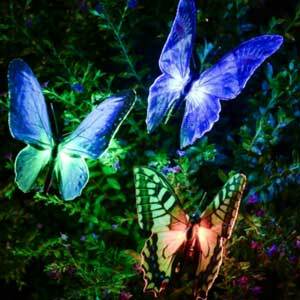 White led solar lights stay lit all through the night and into the morning. 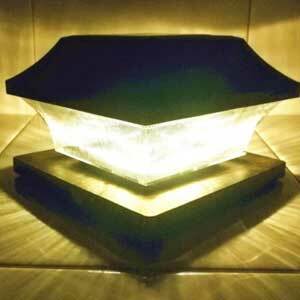 Enjoy free lighting of this solar powered path light glass for whole night! 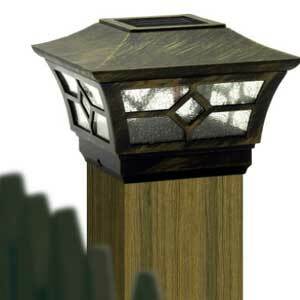 ALL-WEATHER-RESISTANT & LIGHT UP YOUR WAY: Glass solar outdoor path light is waterproof IP65. No worries about rain, snow, frost or sleet. Stainless steel and rugged ABS plastic construction gives the longest-lasting life of any LED lights on the market. 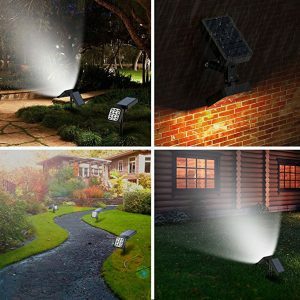 The bright light given off by this stainless outdoor solar light provides safety of passage when no light source is available. 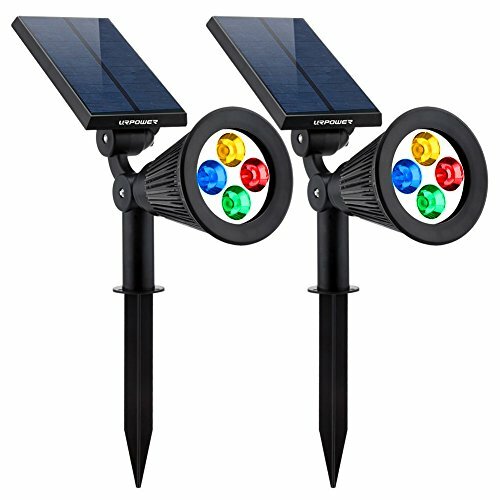 Whether your mode of transportation is by vehicle or by foot let the illumination of this solar plant light guide you! AUTOMATIC TIMERS: You can set this laser light on at dusk or off at dawn. Set a timing mode using the remote control and the light will turn on the same time every day or night and turn off again either 2, 4, 6, or 8 hours later. 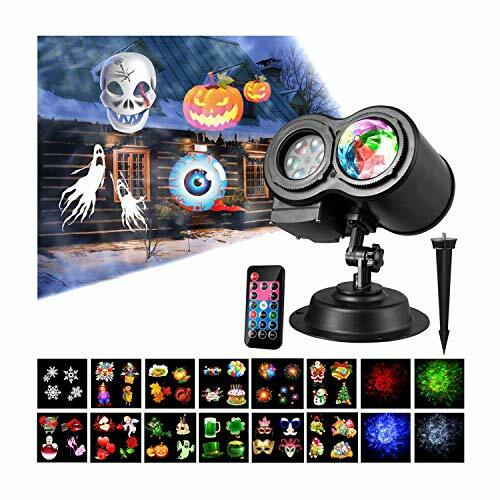 BROAD APPLICATION: The laser lights can cover up to 3900 square feet from a distance of 25 feet and can be set to flashing / twinkle, or simply stationary. 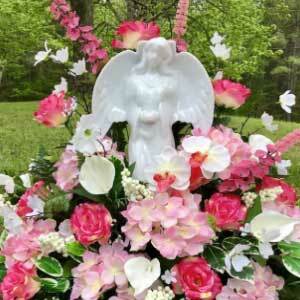 It's perfect for Christmas and holiday entertainment, parties, landscape decoration, and anything else you can think of. 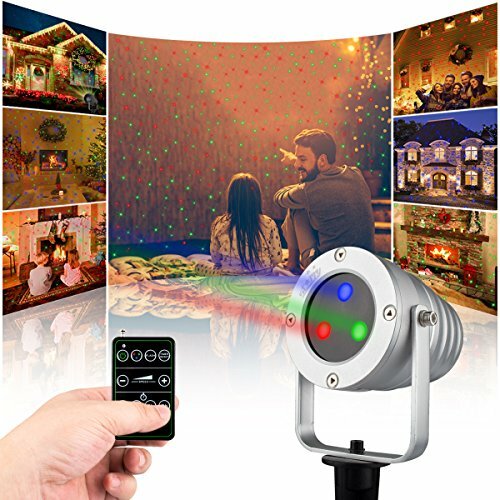 No need for ladders or hanging string lights, just plug-in and RF remote control operation, instantly project thousands of laser lights into your home. Everything is in your hands. Built-in automatic heating device (keep the plug inserted), even at low temperatures the laser lawn light can quickly start. (Most other brands device does take 5-10 minute to warm up in the cold before the spots are distinct). 20 Laser Patterns: They can be a single color of red, green or blue or it can be a combination of two or three colors and with 3 speed control. 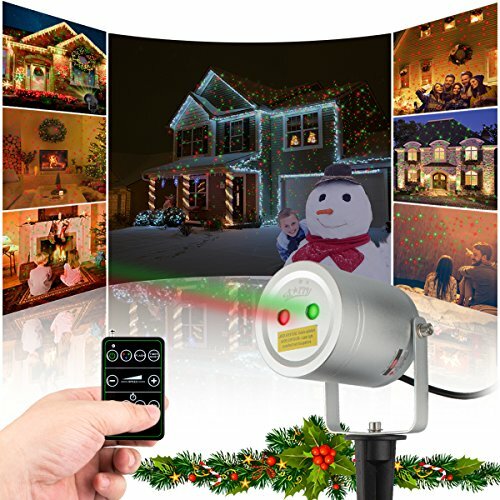 The laser light is the best choice for decorating your Christmas party or holiday! Certified & Safe to Use: Laser light and power adapter have got the certificate of FDA, UL and FCC. 1. Itscool outdoor solar spotlights has 8 colors auto-shifting; or you can fix to a single color, high brightness RGBW LED chip. Compared with many similar solar fence light, we use bigger solar panel, this unit is good to use in winter with less sunshine. 2. 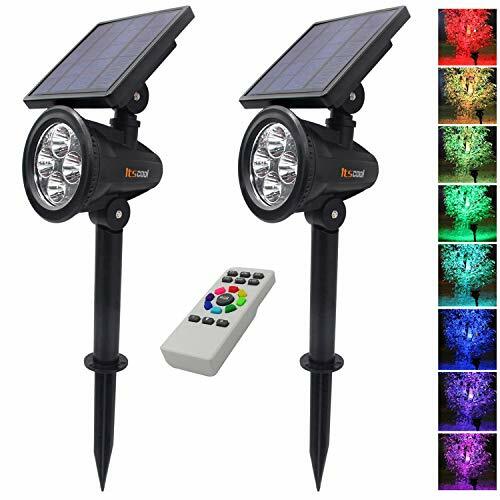 Every pack of 2 pcs solar spotlights include one remote control, when you install the solar spotlight on the wall or tied on the tree, you can use remote control to set the lighting time or color. 3. 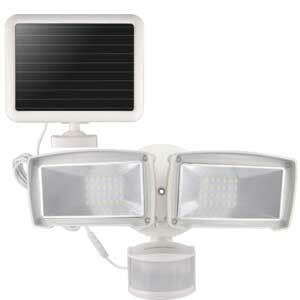 Longtime working: this solar spotlight can work about 16 hours in high brightness after fully charged. In case of continuous bad weather, customers can set it to work less time every night, so it can work more nights. Battery will be fully charged within 7 hours under strong direct sunlight. 4. 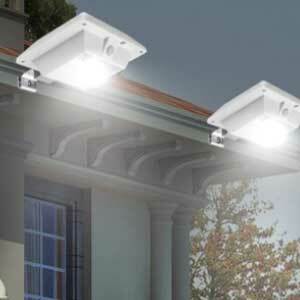 This outdoor spotlights will auto recharging at day time, auto turn on at night and turn off in the morning. 5. 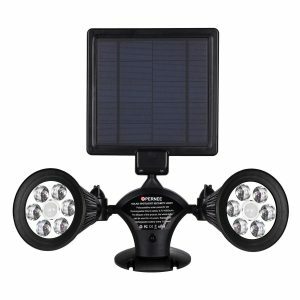 Both solar panel and the light head of the solar spotlights can change angle almost 180 degrees to face the right direction.